Time to take a deep breath and sit down with a copy of this calming book. Digital workflow teacher and author Mark Fitzgerald offers low-stress, postproduction photography workflows and editing solutions that will make your life easier. Walking you through the latest photography software, especially Adobe Lightroom and Adobe Photoshop, Mark offers sensible advice and answers all your post-production questions, whether you’re a professional photographer, serious amateur, or motivated novice. 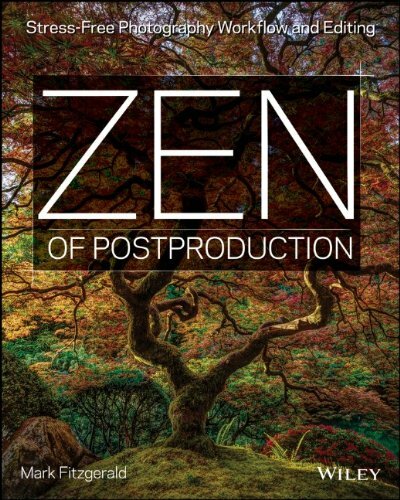 Get into a better, more relaxing place with your photography postproduction workflows and tasks with Zen of Post Production: Stress-Free Photography Workflow and Editing. Available online and in bookstores. Click here to learn more on Amazon. The Pacific Northwest has a rich shipbuilding history that predates the American Civil War. The number of Northwest shipyards peaked shortly after World War II. Today the urban landscapes in port cities such as Portland and Seattle are still dotted with shipyards that build and repair a wide range of seagoing vessels. Though local residents often see these facilities from a distance, it’s rare to get a look inside the dry docks and workshops where the ship shaping magic happens. I was fortunate to not only get a look inside three of these yards; I was able to bring my camera along. I want to thank the fine folks at Vigor Industrial for permitting me to photograph Vigor shipyards in Portland OR, Seattle WA, and Tacoma WA. Each yard had its own special character. It was an extraordinary experience to visit these places as an artist and be able to record what I saw. 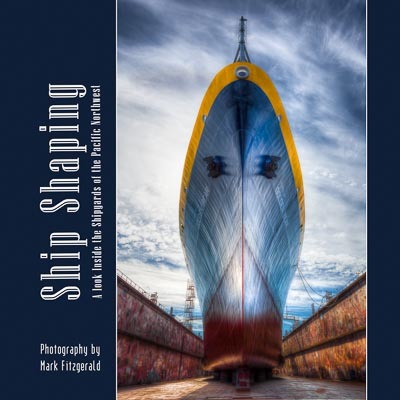 Available as a 12×12 printed book and as an ebook: See a preview below and learn more here: http://www.blurb.com/b/4859792-ship-shaping.